You Watch Naruto Shippuden Episode 234 online English sub free episodes with HQ / high quality. Stream Anime Naruto Shippuden Episode 234 English Subbed Naruto’s Favorite Pupil. Konohamaru, Udon and Moegi are training to prepare for the upcoming war. After heading to the hospital, Sakura makes them carry and stock boxes. Konohamaru, wanting something more important to do leaves with his team ranting. Shikamaru asks Konohamaru who the “King” was and writes the kanji for King on a stone shaped like a shōgi piece and gives it to him. Konohamaru then goes to see Tsunade who outright says no. 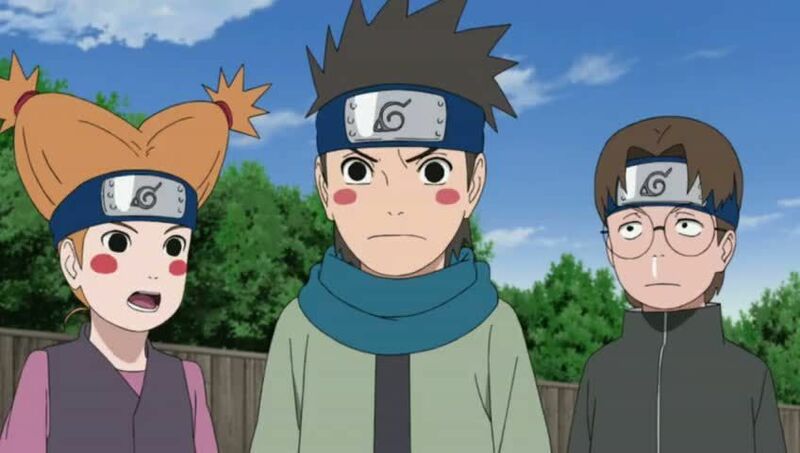 Frustrated after seeing Temari who was there to deliver a message from Suna as well as check on the progress of the village after Pain’s invasion. Konohamaru later challenges Temari while she is on her way home. The two have an intense spar with Konohamaru being unable to land an attack on Temari. Eventually after Temari taunts him that the Sarutobi clan was left with no good heir and that Naruto had a poor pupil. The two almost end up severely harming each other but the fight is stopped by Shikamaru who had been informed of Konohamaru’s intentions by Udon and Moegi. After hearing Moegi’s story, Konohamaru realises that the ‘King’ he wanted to protect were the civilians of the village who are unable to defend themselves. Shikamaru smiles at him and Temari compliments him for mastering such a high-level technique and then Team Ebisu for being such promising young shinobi and then leaves. Shikamaru reports to Tsunade about Konohamaru’s words of protecting the village and one day becoming Hokage. Tsunade smiles as she remembers when both her kid brother and Naruto said they wish to one day become Hokage.